Carolyn Howard-Johnson's grandson served two tours in Iraq. Her husband is a retired Army officer who served in the 1960s Berlin call up. She writes poetry, fiction and essays that explore the subjects of war, peace and tolerance. She sees a relationship between the three. This is where she gets to nag and rag about making things better in the US and beyond by the simple means of fostering more acceptance in our hearts for our neighbors -- locally as well as globally. Please Mark This Blog As a Favorite Resource for Troop Support! By Eric Dinyer. Publisher Andrews-McMeel donates a portion of proceeds from sales of this book to Fisher House. Beaufort by Ron Leshem, translated by Evan Fallenberg, Delacorte Press. Called a "heart-breaking, and haunting first novel." About Israeli combat. Charlie Wilson's War, the book, by George Crile. My City by the Sea by Gary Carter, a book of poems that includes "Universal Soldier." For the Good of the Many, by Gary Carter, a military/political thriler. Tracings, a chapbook of poetry by Carolyn Howard-Johnson that includes "The War Museum at Oslo." Finishing Line Press. 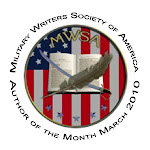 Award of excellence from Military Writers' Society of America. Support Our Troops, a gift book of patriotic sayings by Eric Dinyer. Published by Andrews-McMeel. Foreword by Carolyn Howard-Johnson. Proceeds to Fisher House. Eugene Richards is also the author of War Is Personal, "a series of phtographic and written essays about people--in and out of the military--whose lives have been changed by the war in Iraq." He is using a $50,000 grant for photography from National Geographic to write it. An occasional newsletter from a veteran who says the subject is "usually conservatively political, patriotic or honors our troops. I am try to include an original poetry or commentary commentary.To subscribe send an email to HancockREMOVE@PoetPatriot.com (REMOVE the "REMOVE") with Subscribe in the SUBJECT field. Time Magazine Reports "Death at the Army's Hands"
We went through two ribbons, two tours of duty. But he's ba-a-a-a-ck. ~~Authors Post Reviews, Readers Find Good Stuff! Guest blogger today is John L. Kovach Jr. who was instrumental in founding a plaza in Pittsburgh to allow America's citizens a place to condut ceremonies for the dignified retirement of the United States Flag. E-mail him at jlk1953@verizon.net and, of course, leave comments here. "Old Glory", even the name should make us all aware of the reverence we should hold for our flag. A symbol that millions of American men and women have defended and died for. A flag recognized all over the world, even by America's enemies. A flag that protects each of us as citizens of a nation that have the greatest freedoms in the world. But yet a flag that has been disrespected and desecrated by those very people who look for her protection in time of strife and let her blanket them and protect them. For many years I have observed flag retirement ceremonies being conducted in areas where basically a hole or container was used to do the incinerating. I am sure many private places have retirement areas also but felt that there should be an area for the public to be able to reserve and conduct ceremonies for the dignified retirement of United States Flags. In November-December of 2005 I spoke with and met Allegheny County, Pa. Council Member Vince Gastgeb and proposed and idea to him to construct an area in one of our local parks for private citizens, scouting, veteran and civic organizations to be able to use to conduct these ceremonies, to show our flag that we as Americans do respect her, do care about showing her total respect. Council Member Gastgeb was 100% receptive to this idea and took my basic design to the necessary individuals within the county government where it received unanimous approval for its construction. We then met with Allegheny County, Pa. Director of Parks Andy Baechle and went to look at some potential areas within Allegheny County's "South County Park". It was almost as if fate intervened as the first first site we stopped at hit us all as the ideal spot for this plaza. it is nestled within a serene setting, birds chirping, wooded landscape, all facilities close at hand. Additionally it was within 100 yards of the park Boy Scout building. Construction began shortly after wards and the dedication ceremony was held on June 14, 2006. However the site was not completed in its entirety but we felt it was completed enough to dedicate. This site was always designed to be a work in progress as we would like to make some improvements to enhance its beauty and give even more reference to it so that people may come to just sit and reflect. To view some of the improvement we would like to make you can go to http://engineersvietnam.com/retire/index.htm This web page was graciously set up by Donn Dade of The Americans Veterans Network. I have tried to apply for grants for these projects but was turned down by one and told by others that it did not fit into their eligibility criteria. It is sad that our flag takes a second place to all else and that she does not fit into any American funding project criteria. It is hoped that people of an individual will see these and wish to donate to insure their completion. The Mosaic wall mural is our top priority and currently students from Allegheny County Community College are doing designs and will then submit them for selection. I have always followed a philosophy in that "The type of American we show our children how to be; will be the type of American they in fact grow up to become"
We must show children how to respect our flag and hope in turn they will show their children so that in time she will not be forgotten, degraded or desecrated by any American. Each June 14th has been reserved by Allegheny County, Pennsylvania for the annual county United States Flag Retirement Ceremony. The ceremony will be conducted on June 14, 2008 at the site. If any individual would like to contribute to helping complete these improvements [plans are underway to allow for provisions to do so. Please contact me (jlk1953@verizon.net) and I can put you in touch with the appropriate county official. Blogger Carolyn Howard-Johnson wrote the foreword for Eric Dinyer's book of patriotic quotations, Support Our Troops, published by Andrews McMeel. Part of the proceeds for the book benefit Fisher House. Her chapbook of poetry won the Military Writers Society of America's award of excellence. I want to encourage anyone who is in the Pittsburgh area to please come to the Flag Day Ceremony on June 14 at 6pm at the Dawn's Early Light Flag Retirement Plaza in South Park. It will be my great honor to speak there. Also, anyone who would like to donate any amount to support and improve the Flag Retirement Plaza you can contact John Kovach. A Great Site for Spouses! Visit my website page with more links and resources for fostering tolerance. ~~The Philadelphia Veterans Multi-Service & Education Center, Inc, 215 923 VETS (or go to http://www.pvmsec.org/). Ed Lowry, 215-8970-5233, will tell you how to help a program in a community where 30% of the homesless are vets. THIS IS A NEW UPDATED ADDRESS! To learn more about the USO, a non-governmental, non-partisan organization, please visit http://www.uso.org/. ~~A kind of clearing house for soldiers in need: http://www.anysoldier.com/. ~~Try the services of http://www.operationusocarepackage.org/ and http://www.americasupportsyou.mil/ for ways to make a difference. ~~It's now cheaper to send items to APO and FPO addresses. Order free shipping boxes online. Ask for APO FPO rates at the post office. The boxes will be available online Feb. 20 at http://www.usps.com/supplies, or by calling (800) 610-8734. ~~Get your soldier a bore cleaning kit free of charge with the project Bore Snake. http://www.projectboresnake.com/moreinfo.html. It will save him or her time and assure that their weapons are taken care of. Find guidelines or how to get one on the site. ~~Adopt a US Soldier. http://www.adoptaussoldier.org/. Please note the disclaimer on the home page. 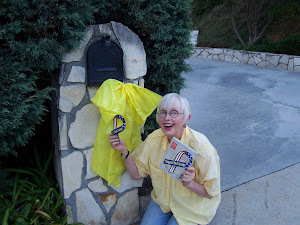 ~~Buy yellow braclets from your PX, BX or Mothers of Military Support (MOMS) at http://www.mothersofmilitarysupport.com/. Veterans are homeless: Vets represent only 11% of the cvilian adult popularion but 26% of the homeless population. The report asks for screening to learn which soldiers are at risk as they leave the service and for emergency grants for those who actually do fall behind on their rent. Write your congressman for support of this recommendation. Nearly 1/2 million veterans were on the streets or in shelters in 2006. "Private charity can't replace a public commitment to finish what we start, do do the long, hard, expensive work of making soldiers whole when they come home." Notes on Tolerance . . . Tolerance, or the lack of it, is at the root of every conceivable ill that befalls our country and others . . .
~~John McCain in response to a complaint that open borders "will destroy this country. . . " said, ". . . on the larger issue you raise, I believe the people who have come here [legally] from other countries . . . are our greatest strength." `Time Magazine, Dec. 10, 2007, page 33. ~~From Time Magazine:"Unholy Fantasy~The Catholic League called for a boycott of the film The Golden Compass, saying it promotes atheism. The league previously boycotted The Da Vinci Code." ~~At the Casden Institute at the University of Southern California (USC): Sen. Russell D. Feingold (D-WS) noted that embracing strangers or outsiders is a tenet emphasized in the Torah. He urged particular tolerance for American minorities including blacks, Latinos, and Arabs and Muslims. ~~Tammy Faye Messner (Baker) passed away in 2007. She said "I refuse to label . . . . We're all just people made out of the same old dirt, and God didn't make any junk." ~~J. K. Rowling's Harry Potter series is a compendium of 4,200 pages about tolerance. Now, after the last has been written, she says, "I did not set out to convert anyone . . . . It's perfectly possible to live a very moral life without a belief in God, and I think it's perfectly possible to live a life peppered with ill-doing and believe in God." Several Military-Themed Books Here for Your Perusal!